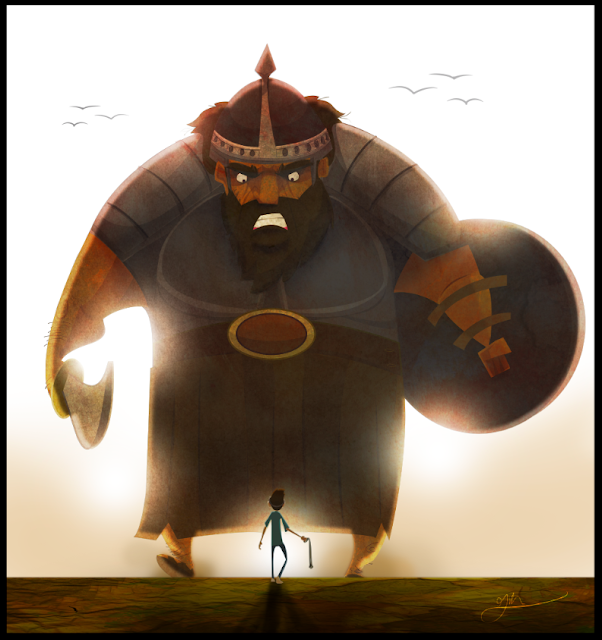 Sunday School Sketches: David and Goliath! Done! ...Feel like this could be a movie poster.